“Here is a lovely parcel of tourmalines, garnets and an incredible royal blue sapphire that I recently cut for a client. There were a couple of stunning merelani mint green garnets (geez I love those mints!!!) which were simply dazzling, and the tourmalines are all wonderful. The sapphire was one of the finest little blues I’ve cut… it was a stunning royal blue, perfect saturation, nice and rich. 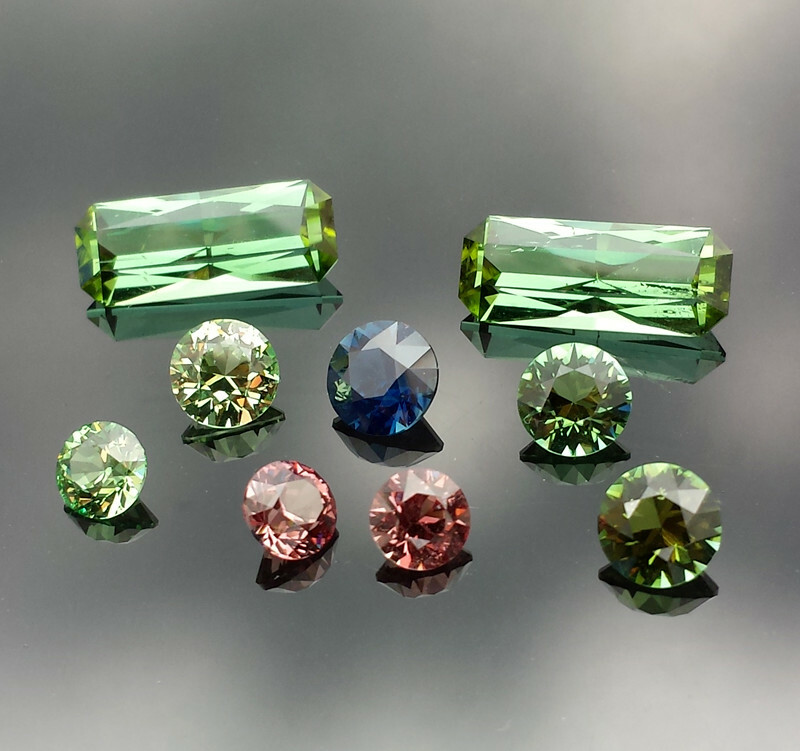 Overall a superb parcel of gems cut from rough supplied by the client”. The gems are all for sale and be quick before my better half bags the sapphire and the garnets. Prices, weight and gems size are listed in the Gem Photo Gallery.